There are countless myths and misconceptions out there about bankruptcy. Oftentimes, these myths are enough to dissuade people from considering bankruptcy as a course of action for financial relief – even if it may be the best path forward for their unique financial situation! 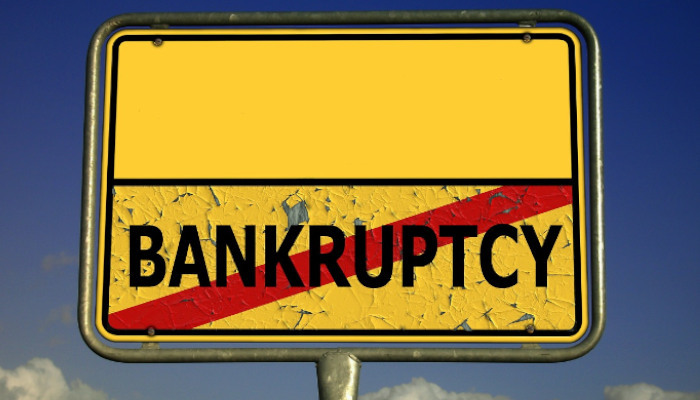 There is a common line of thinking out there that bankruptcy is something to be ashamed of. There’s a stigma often associated with bankruptcy, which can color many people’s perceptions of this important financial mechanism. In reality? At the end of the day, remember that filing for bankruptcy does not make you a “bad person,” or a “failure.” Not at all! Instead, it’s a sign that you’ve looked into all of your options, and are making the choice to hit “refresh” on your financial future. And keep in mind that if you pursue bankruptcy, you’re certainly not alone. Bankruptcy is remarkably commonplace, used by thousands of individuals and groups all across the country. In fact, did you know that there were more than 756,000 non-business bankruptcy filings in 2018 alone? Or that there were 12.8 million consumer bankruptcy petitions filed in the federal courts between 2005 and 2017? In reality, things are more nuanced than that. Chapter 7 and Chapter 13 bankruptcy can allow you to ultimately discharge many types of debt, including medical bills, credit card debts, and unsecured personal loans. In Chapter 7, you may have to liquidate some assets in order to repay your creditors. With Chapter 13, your debts may not be discharged for three to five years, during which time you’ll be responsible for making regular, good faith payments to work down what you owe. Even if your debts aren’t automatically discharged, you may be able to restructure your payments, to make them much more manageable. Keep in mind, though, that many types of debt will not be discharged by bankruptcy, including back taxes, family support payments, expenses stemming from fraud or crime, and, more often than not, student loan debt. Everyone’s situation will be unique. Working with an experienced bankruptcy attorney may help you get the insight you need for your situation, allowing you to determine which of your debts can be discharged, and which may be restructured and paid down over time. The fact of the matter is this: Filing for bankruptcy will take a toll on your credit score, at least in the short term. But it’s a myth to say that everyone’s credit will suffer in the same way, or that the effects will linger for a long time. For one thing, remember that everyone’s financial situation is unique, and so everyone’s credit score will be affected differently by the bankruptcy process. While most filers will generally see a drop in their scores, people with relatively good credit before bankruptcy may see their score drop more than those with comparatively poorer credit. And although a bankruptcy will remain on your credit report for a number of years (we’ll get into that more in a moment), the reality is that many consumers face a drop in their credit score that is only temporary. Typically, individuals can start the process of improving their credit score immediately after concluding the bankruptcy process, and many people find that their scores make a significant recovery more quickly than they may have anticipated. In fact, a recent report indicates that 40% of Americans have a credit score of over 640 just one year after filing for bankruptcy, and 65% of bankrupt Americans see the same score (or higher) within three years. On one side of the coin, there’s the belief that bankruptcy will always allow you to walk away from all of your debts, no questions asked. The flip side of this is the quite-common belief that filing for bankruptcy will necessarily mean giving up all of your money, property, and assets. Now, it’s important to recognize that laws will vary from state to state, and everyone’s circumstances will be unique. One of the best steps you can take to protect your assets in bankruptcy may be to consult with an experienced bankruptcy attorney, who can help you get answers and strategies for your unique situation. If you file for bankruptcy now, will it remain on your record for fifteen, twenty, thirty years? Will you still be feeling the effects of bankruptcy for the rest of your life? Many people tend to believe that bankruptcy will stay with them forever. In reality, this isn’t really the case. Most Chapter 7 bankruptcy filings wrap up in a matter of months, and Chapter 13 filings go on for three to five years, typically. After that, a Chapter 7 bankruptcy will typically remain on your credit report for up to ten years, and a Chapter 13 bankruptcy will usually be reported for seven years. And, as we’ve noted, filers can take steps to begin repairing their credit and establishing good financial habits immediately post-bankruptcy, meaning that many will stop feeling the “aftereffects” of bankruptcy well before the reporting period expires. This belief – that bankruptcy automatically derails your financial future – is one of the biggest beliefs out there about the process, and one of the most misguided. For one thing, it starts from a shaky proposition about what bankruptcy really even means. Bankruptcy, as a concept, is intended to help consumers gain debt relief, so that they can become productive and contributing members of the economy once again. In short, it’s intended to make things easier down the road for filers – not harder. So, with this in mind, remember that while there will be challenges and hurdles on your way to rebuilding your financial life, post-bankruptcy, there are ways to get going again, whether your goal is to buy a home, purchase a vehicle, or open a new line of credit. When it comes to buying a home? Generally speaking, buyers need to wait four years to secure a conventional home loan after the discharge of Chapter 7, and two years after the discharge of Chapter 13. However, in many cases, this “seasoning period” may be far shorter. With FHA or VA financing, for example, many homebuyers may be able to secure a loan two years after discharge of a Chapter 7, and a year or less after a Chapter 13. Opening a new credit card? Many bankruptcy filers are surprised to start receiving credit card offers immediately after bankruptcy. In many cases, filers will be able to secure credit, albeit with significant strings sometimes attached, such as exorbitant rates or extremely low credit limits. However, there are also many courses of action out there designed to help filers rebuild their credit gradually, including “secured” cards and authorized usership rights. Many consumers will find that they can start applying for financing within a year after filing for bankruptcy, though many find greater success, and lower fees, if they wait longer. Still, reporting indicates that the costs associated with a typical $15K auto loan are just $799 for borrowers who apply just two years after a bankruptcy. Finally, there is a common belief that bankruptcy won’t be the right fit for your specific situation, whether due to the associated costs or the effort involved. In reality, many different people from all walks of life find success with bankruptcy, including wage earners, business owners, retirees, and more. If you’re sincerely considering bankruptcy as an option for coping with severe indebtedness, then you shouldn’t let factors such as attorney’s fees hold you back from exploring the process in more depth. In most cases, the long-term and short-term upside may be worth any costs, and, ultimately, the fees and expenses may be more flexible and manageable than you may think. Did you know that among Chapter 13 bankruptcy filings, only about 1% of cases filed pro se – that is, without an attorney – prove successful? When it comes to Chapter 7, fewer than half of pro se cases succeed. The reality is that consulting with an experienced bankruptcy attorney may be one of the most important steps you take on your journey to debt relief. A lawyer can provide vital expertise and insight, answering your questions, helping you determine alternative courses of action if appropriate, and generally making sure you are able to make it through each step of the complex process as smoothly as possible. That’s where the Gunderson Law Firm can step in and help. If you have any further questions about the bankruptcy process in Illinois, don’t hesitate to drop us a line to keep the conversation going. The attorneys and staff of The Gunderson Law Firm specialize in helping individuals and businesses in the state of Illinois file bankruptcy in the most appropriate ways to discharge debts and help you restart your financial life. At the Gunderson Law Firm we believe in second chances. We believe in realistic financial planning. We believe in you. If you, like millions of others, have found yourself in over your head give us a call. We are here to help you leave past debt where it belongs – in the past.